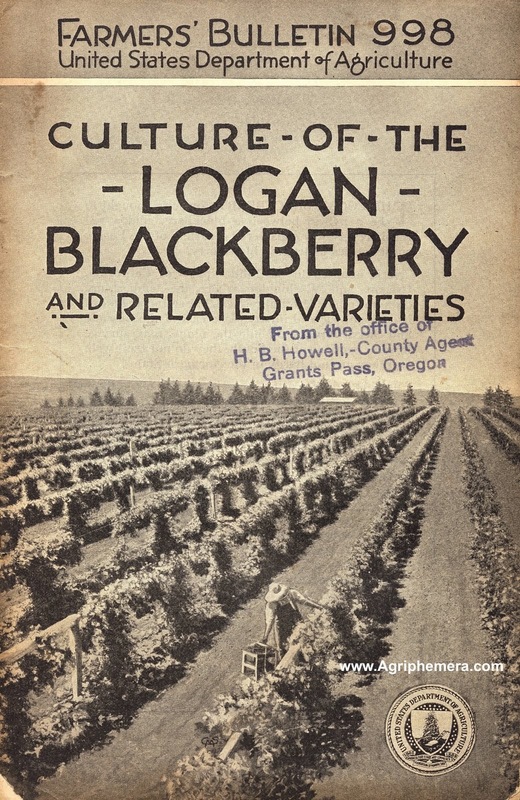 Old Agricultural Writings for Modern Agrarians, Peasants, Homesteaders & Other Kindred Learners. This rare booklet is one of the most interesting examples of agriphemera that I own. G.P. Pilling & Son Co. was a Philadelphia manufacturer of surgical, dental, and veterinary instruments. They also made many different kinds of caponizing tools, all of which are featured in this 43-page pdf download. Also pictured are Pilling spreaders, tweezers, forceps, three killing knifes, a gape worm extractor, the Pilling fume disinfector (for the chicken house—"death to germ life"), and if that's not enough, there three pages of cattle instruments. 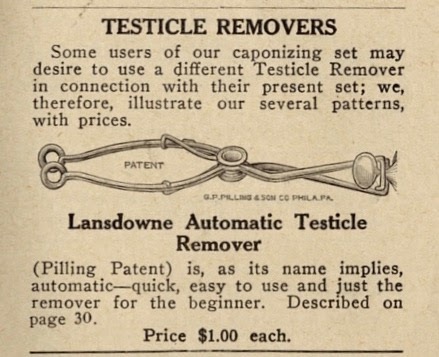 "These little instruments, used to punch web between toes, are invaluable to the poultry raiser in marking young and old chickens, capons and all kinds of fowl. The marker enables every farmer and breeder to recognize their own fowl at a glance. 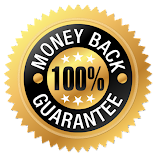 The marking can be made in over 200 different ways, and this number can be still more added to by marking the skin of the wings." 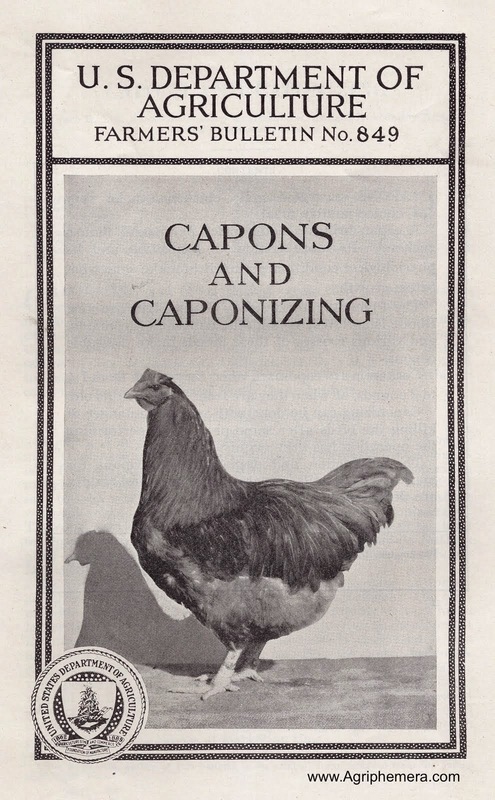 This booklet is all about capons and caponizing, but it doesn't go into any detail about exactly how to caponize. Nevertheless, this is a must-have caponizing resource, in my opinion. 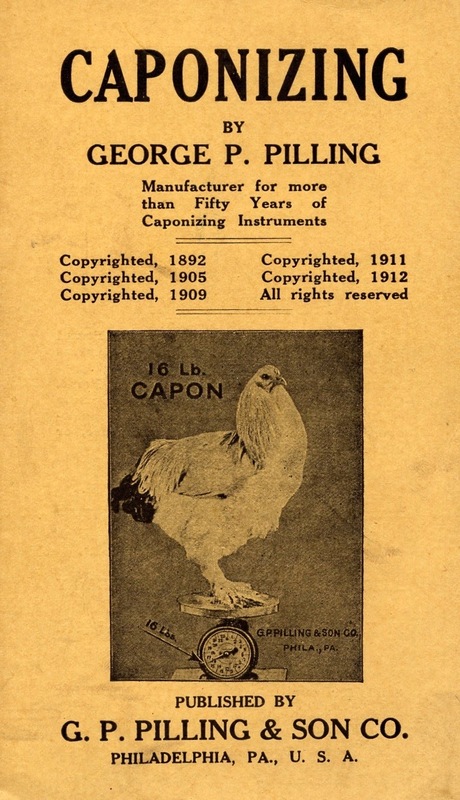 If you are interested in learning the art of caponizing, it is recommended that you purchase all four of our Agriphemera downloads on this subject. Each download has information and insights not found in the other downloads. All together, these inexpensive downloads provide you with an excellent educational resource about this almost-lost skill. 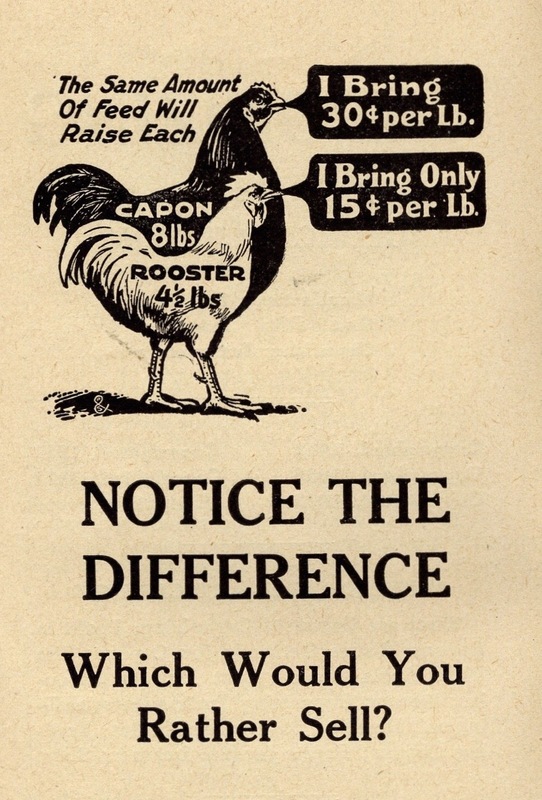 Poultry markers are still sold. But they are usually sold in reference to duck supplies. Many more Agriphemera downloads to come. Click the beet and go (you'll like it there). 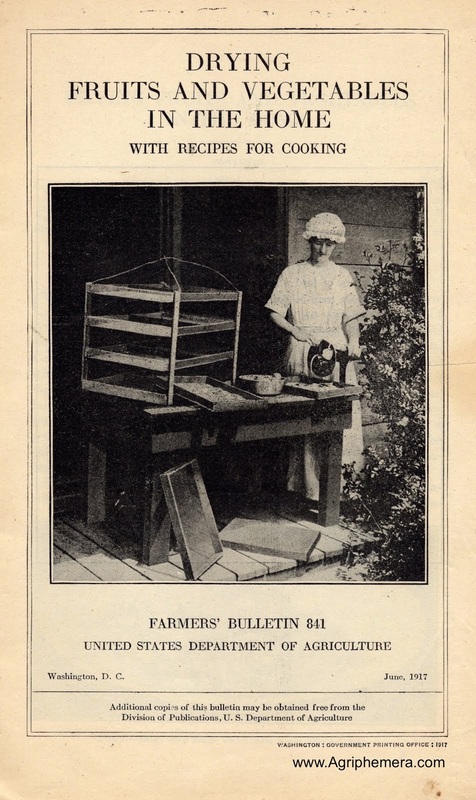 Click the Guinea fowl to learn how you can download a completely free Agriphemera sample! "Stande in the waies and beholde, and aske for the olde way, which is the good way and walke therein, and yee shall finde rest for your soules." Copyright, Herrick Kimball, 2015. Awesome Inc. theme. Powered by Blogger.